Hannya was born in Manchester and has lived in and travelled to many corners of the world. Her paintings signify and represent her adventures. 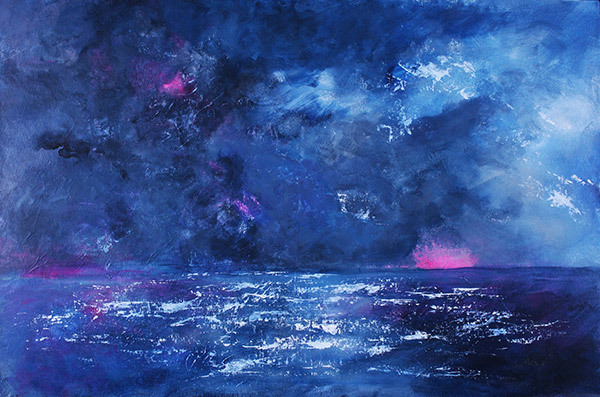 An experienced sailor and nature enthusiast, Hannya paints with a mixed media in all sizes. Hannya's creativity is not bound to her studio, she packs her paints and takes them on her travels. She's been known to paint on flights, on a stormy sea or safe on the ground, in her studio in the New Forest, UK. She's had a long standing and creative career in art, fashion and design, and has painted since she was a child. Please use the email form below to contact Hannya Robinson direct.